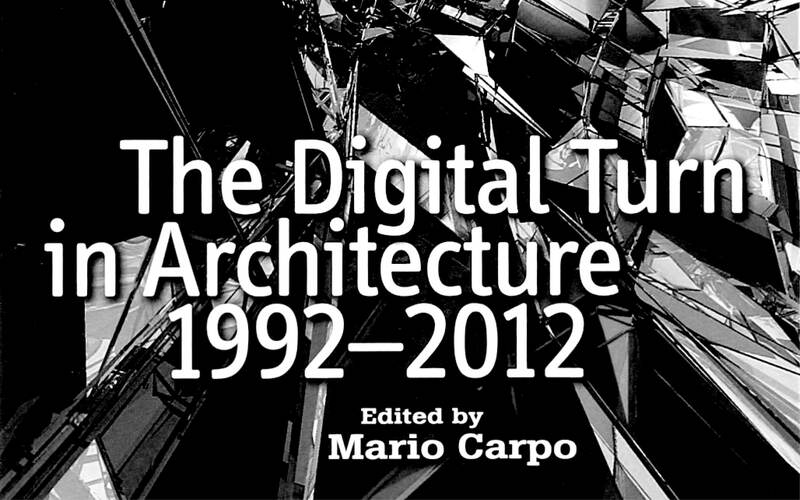 Mario Carpo, the Digital Turn in Architecture 1992-2012. (United Kingdom: John Wiley & Sons Ltd, 2013). 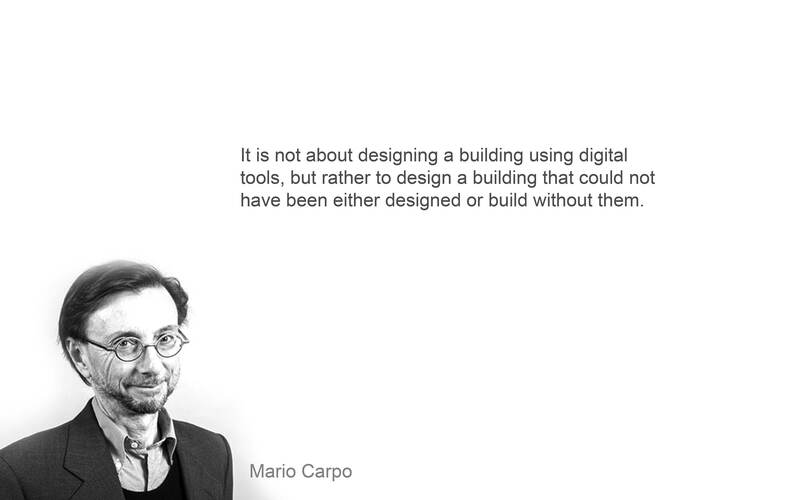 The digital turn in architecture, Mario Carpo introduces how the digital/cyber world have been transforming architectural design process in the last 20 years. Digital technologies are much more advance and available now comparing to what were available to Frank Gehry for the design of Guggenheim Bilbao 25 years ago (1990). In comparison, take any parking garage design today, the design process for the car park involved using more digital tools in the past 20 years, but the project rarely becomes digitally intelligent design. Technological advances of the 90s are changing so fast that also impact the design process and brings architecture to a digital age, many designers are inspired by the new technologies, perhaps fascinated, by the potentials of cyber spaces. 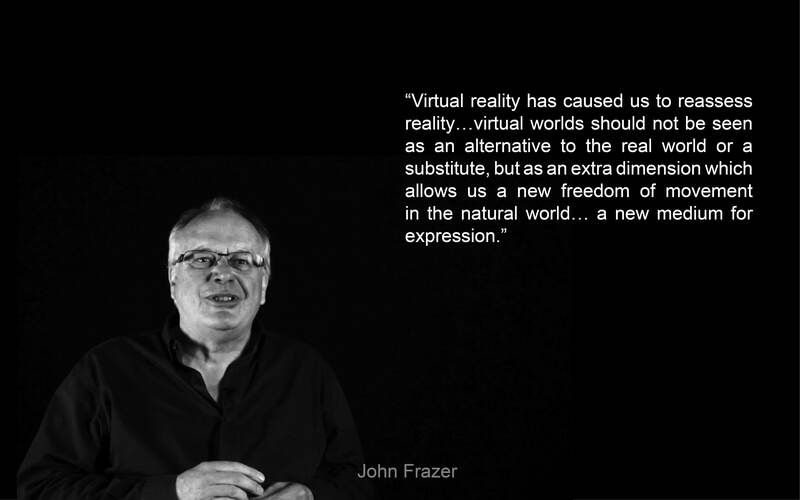 But how should virtual reality and cyber space become part of the design process? “Now there is a difference between repetition in mechanical reproduction and repetition in electronic reproduction” –we now no longer use our hands but instead electronically to make drawings. There is now less human interactions. 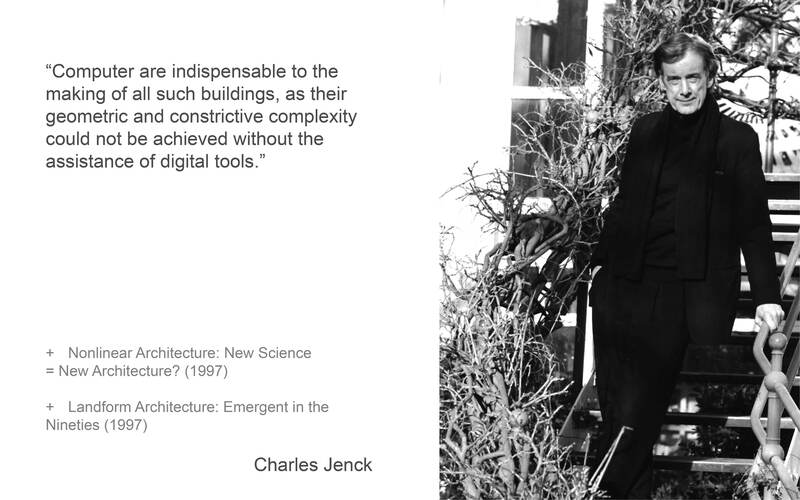 So how does the digital age change architectural design? It is from the development of new digital tools and fabrication techniques. The new design tectonics appears the early 90s from the introduction of spline modelers. The ability manipulate curves lines using vectors and control points. Bernard Cache and Gilles Deleuze’s “theory of Objectile, or generic object, becomes a catalyst for the digital turn in architecture and remain until this day a powerful source of inspiration for digital design” (146) “The Objectile is an open-ended notation which allows for infinite parametric variations…” With this generic, open-ended, parametric notation from the digital tools, it implies that design authorship may also be split between the designers and the customizers. For many architects, digital design does appear like a continuation of Deconstructivism with digital means. FOA Yokohama terminal is considered one of the most “meaningful architectural achievements of the digital age, but its authors never mention here either computers of digital technologies.” Zaha Hadid is also an example of architects that came to the continuous folds of digital design after training in the angular fractures of deconstructivism. “Post-modernist wanted differentiation, variety and choice; and with the new digital technologies, these tools provided the most suitable technical means to that end.” -Mario Carpo. In more recent times, designers may have taken more spiritual approach to digital tectonics or in the field of ‘performative’ design experimentation. Form finding, research on physical materials, or maximize the performance of the design. In the turn of the century, non-standard form-making “had been proven to work effectively at the small scale of industrial design and fabrication, but did not perform well at the full scale of construction. SHoP then, call for a new “intelligence of fabrication” that can reduce the gap between constructions task and design, searching for a “common language between design and execution.” From that new generations of software known as BIM or [Building Information Modelling] became very important part of the digital design tools. As the same time, on the opposite end of the digital design spectrum, is (as Greg Lynn named it) new generations of blobs makers and Patrik Schumacher’s theory of parametricism. So where are we now? Between the BIM software development that “many feels might threaten or diminish the architect’s traditional authorial role” and the very idea of parametricism and making more curves and blobs. “Early 1990s architects were pioneers of the digital frontier, but it is very difficult to be inspired by a style that have been repeating itself for at least 15 years. 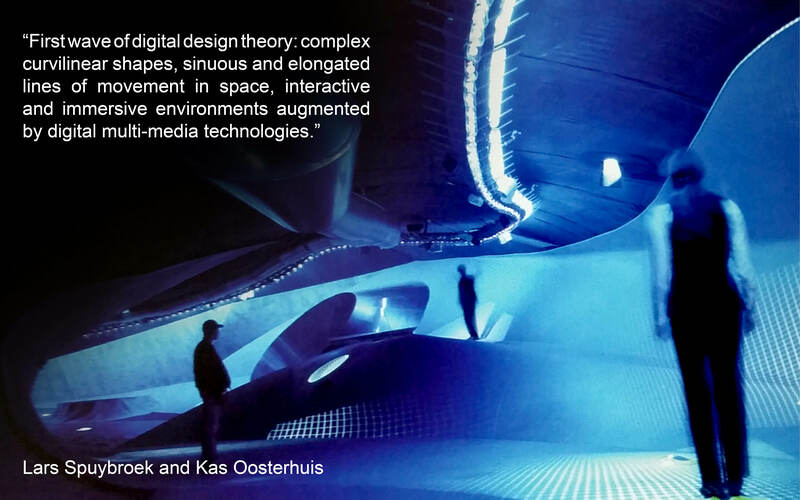 How do young architects be inspired by digital theories that have been around since early 1990s? Do we keep on going with this repetition or should we start looking elsewhere for the next big thing? … If history has something to teach – the digital history of the last 20 years, as well as the architectural history of the last 20 centuries – the best, or at least the most momentous days of the digital turn may still be ahead of us” -Mario Carpo.